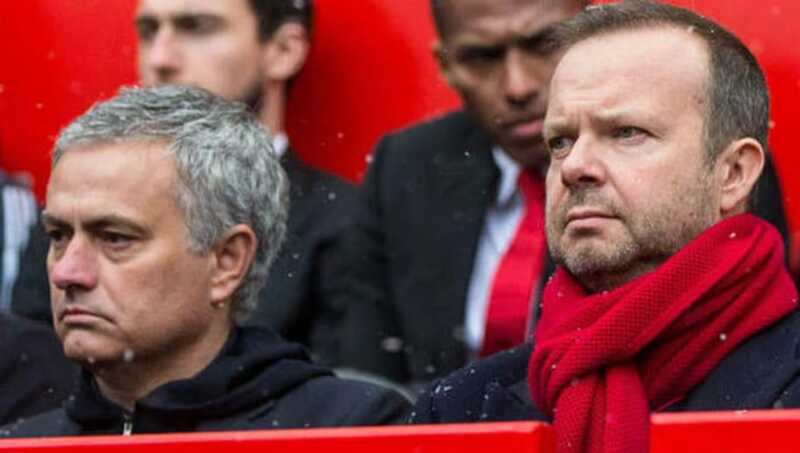 It appears that Ed Woodward and Jose Mourinho's tumultuous relationship has become even stormier over the last few days, as disagreements on transfer targets have left ​Manchester United short. A key area that Mourinho had been looking to strengthen was centre back, with ​Leicester City's Harry Maguire and ​Toby Alderweireld of ​Tottenham Hotspur the chief targets. However, with £65m price tags being thrown around, the Red Devils' hierarchy are in no mood to waste funds. The ​Guardian report executive vice-chairman Ed Woodward felt that the wish-list of Manchester United's manager lacked an understanding of the club's ethos. Targets like Jerome Boateng didn't fit the criteria, with age, propensity to injury and hyperbolic salary demands all coming up as negatives. Mourinho feels Man United are in danger of being left behind, with top four contenders ​Liverpool, ​Manchester City, ​Chelsea and ​Arsenal continuing to invest. However, Woodward already gave the ex-​Inter boss £52m to spend on Fred, and thinks he should focus on making his current squad more cohesive.